Context and Motivation: Information retrieval (IR) trace link creation approaches have insufficient precision and do not perform well on unstructured data which is typical in issue tracker systems (ITS). Question/problem: We are interested in understanding how interaction tracking on artifacts can help to improve precision and recall of trace links between requirements specified unstructured in an ITS and source code. 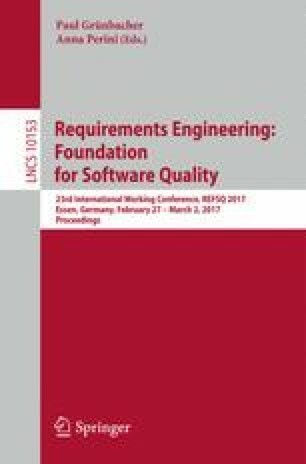 Principal ideas/results: We performed a study with open source project data in which artifact interactions while working on requirements specified in an ITS have been recorded. Contribution: The results of our study show that precision of interaction-based links is 100% and recall is 93% for the first and 80% for the second evaluated data set relative to IR-created links. Along with the study we developed an approach based on standard tools to automatically create trace links using interactions which also takes into account source code structure. The approach and the study show that trace links creation in practice can be supported with little extra effort for the developers. We thank the open source community for providing the data for our research.